You are on the corner of 5th Street and 17th Avenue, looking at a St. Mary's Orthodox Cathedral. 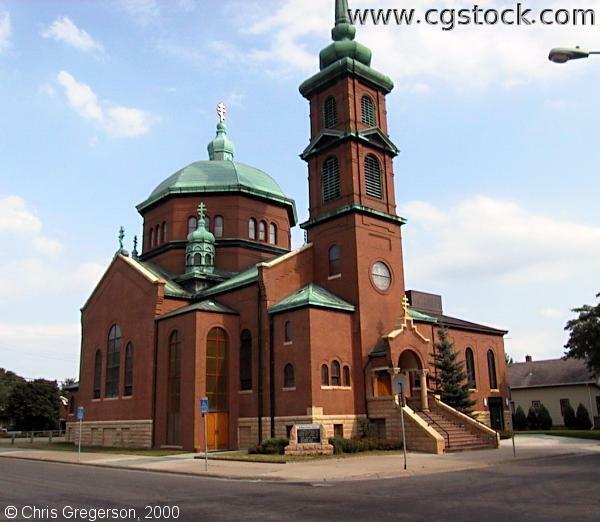 This was originally called "St. Mary's Russian Orthodox Greek Catholic Church"(see photo below). The address is 1701 5th st. NE, Minneapolis, MN 55413.